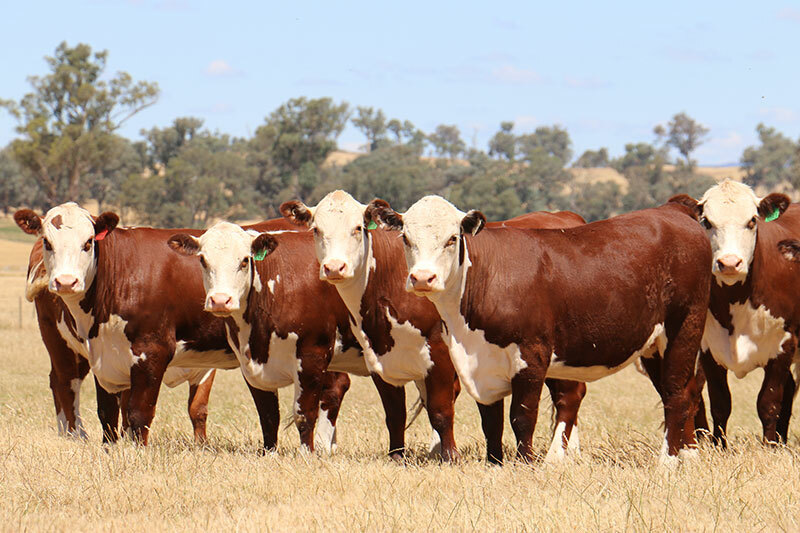 Combining Performance with Phenotype the cattle have to be profitable and to do this they need to excel in the commercially important traits. Fertility, live calves, growth rates, IMF and finishing ability have the biggest impact on my bottom line, so animals that excel in these traits are what I am chasing. Significant emphasis is also placed on structure and phenotype. “EBV’s are a great tool to gauge the genetic merit of an animal but it still needs to be sound, well put together and, most importantly, phenotypically impressive. No one wants ugly cattle no matter how good their numbers are’. From a performance angle we wish to continue doing as much as herd recording as possible – birth weights, weighing carcases, scanning, structural assessment and DNA testing for poll gene and any possible genetic conditions. “I want to present my bull clients with as much objective and independent information as possible to aid in their selection decision. Experience has also taught me the importance of customer service, a product is only as good as the people behind it. The eventual plan for Ravensdale is to settle at a stud herd of approx 350 breeders which is backed by a larger commercial herd that will act as a progeny test herd for the stud and potentially other young industry sires. Such a herd would be a platform to sell between 50-60 performance bulls annually.